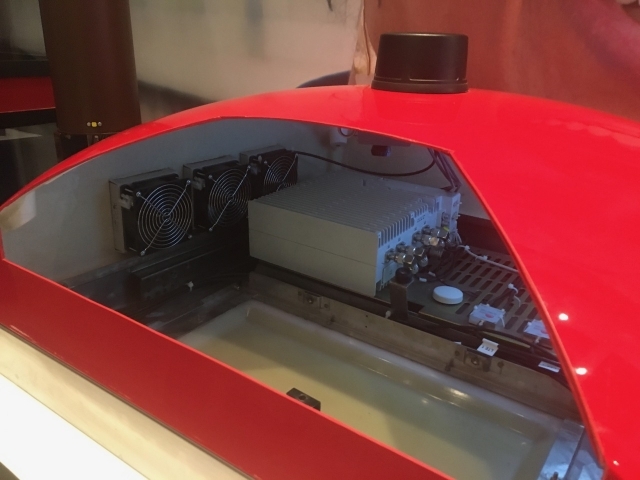 Scott Petty, CTO of Vodafone UK wrote a post about how 'our cunningly imaginative network team has devised some ingenious ways of boosting mobile reception.' While readers of this blog will have already seen most of these innovations from around the world on our blog, it's nevertheless an important step to bring connectivity to users in rural and remote areas that suffer digital exclusion. 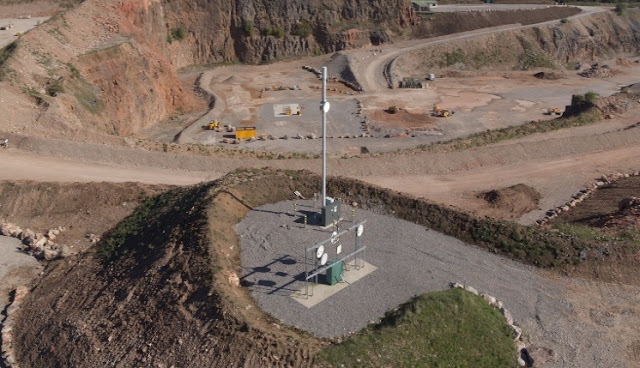 Late last year, Vodafone talked about how their mini masts (picture on top) are making huge differences to JCB Staffordshire quarries. Around half the height of a standard mast, the mini masts can be painted to fit in with the local surroundings. The masts also require less power and electronic equipment. This means they are ideally suited to providing a mobile signal in hard-to-reach rural business locations, such as the two JCB sites, near its World Headquarters. The mini mast is developed in partnership with infrastructure technology company Commscope according to the PR. 4G networks can easily become congested in densely populated cities. This is especially true for urban areas regularly visited by waves of tourists, such as London’s Covent Garden. 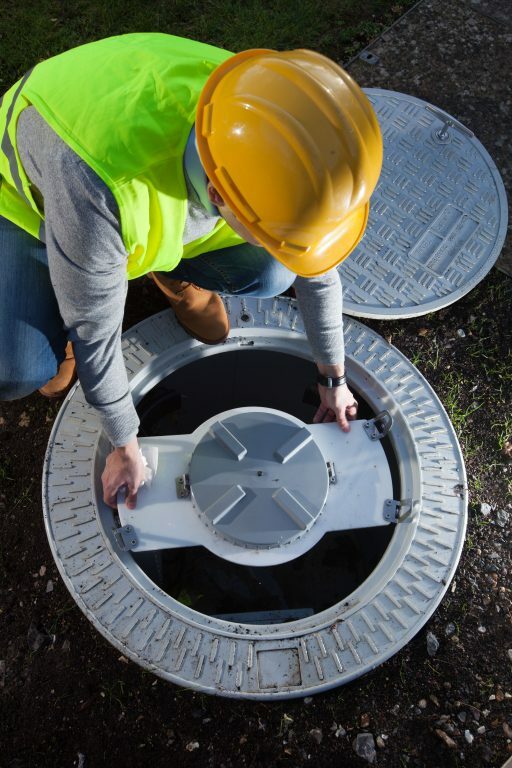 Fitting a mini-mast to the underside of a manhole cover to increase mobile coverage may sound bizarre, but it makes perfect sense. Our incredibly fast fibre optic network runs beneath the streets of Covent Garden and provides the bandwidth muscle behind our manhole cover mini-masts. Each mini-mast isn’t designed to boost coverage for all of London or even the West End, but for specific stretches of Covent Garden where overwhelming demand for a strong and stable 4G signal would otherwise go unmet. But manhole cover mini-masts won’t be appropriate or possible in every locality. For some places, such as Edinburgh’s historic Princes Street, mini-masts built into phone boxes make more sense. These converted phone boxes not only provide a boost to mobile reception on this bustling thoroughfare, but help preserve a much-loved icon of our national urban heritage. In a post back in December, I wrote about Small Cells in Phone Boxes here. Visitors to the popular seaside resorts of Polzeath and Sennen Cove in Cornwall this Easter can now receive fast mobile Internet and great voice reception along the beach after Vodafone installed the latest 4G technology in beachfront phone boxes. Beach-goers will not only be able to use their smartphones on Vodafone’s ‘4G from a phone box’ service within approximately a 200-metre radius. They can also make use of Vodafone’s range of connected devices, including the V-Pet Tracker to help you pinpoint a dog that has wandered off. Vodafone is working on a number of initiatives to help support the Government’s ambition of extending mobile coverage to 95% of UK landmass by 2022. 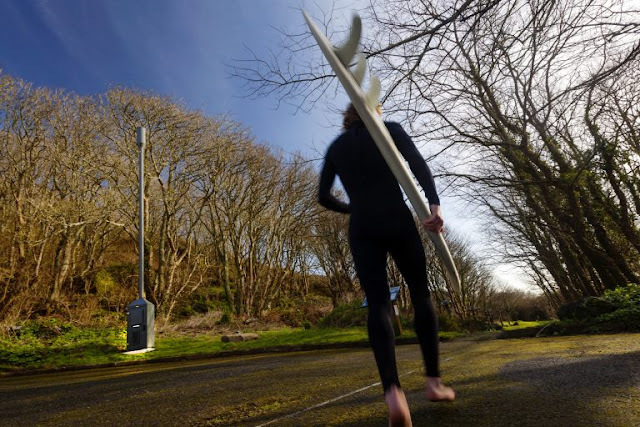 In addition to drawing up industry-wide proposals to create a single rural network to cover not spots and partial not spots, last year, Vodafone achieved an industry first by installing the UK’s first mini mobile mast at Porthcurno in Cornwall. The Cornish 4G-enabled phone boxes are equipped to cope with the increase in mobile usage over the Easter break and over the summer months. During the heatwave in 2018, our network in Cornwall carried nearly 90% more mobile Internet traffic than the previous year. Vodafone is also testing 4G in phone boxes in busy shopping areas in Edinburgh, Oxford and soon in London. At its technology headquarters in Newbury, Berkshire, Vodafone is trialling housing 4G on the underside of manhole covers. All pictures, unless mentioned are from Vodafone.